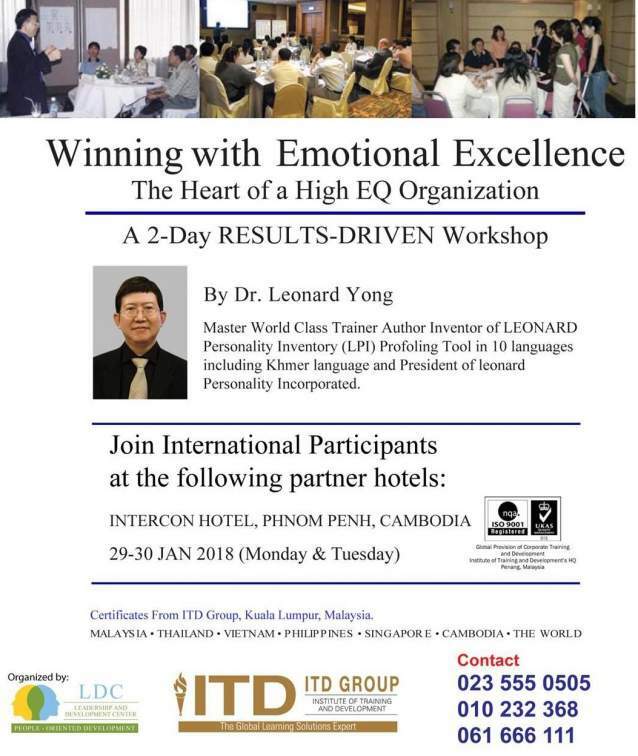 Master World Class Trainer Author Inventor of LEONARD Personality Inventory (LPI) Profoling Tool in 10 Languages including Khmer Language and President of leonard Personality Incorporated. What’s difference between EQ and EE? Why Come for this Program? Why come in a Team/Group? Remark: In this two-day workshop, YOU WILL change your complicated life. This training is including Leonard Personal Inventory (LPI) Test which cost 100$/test.